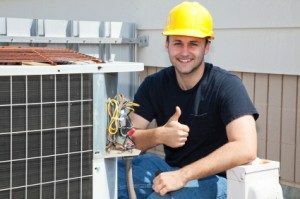 Contact a Boiler Repair Specialist and Get Your HVAC System Back on Track | Robert B. Payne, Inc.
A higher level of efficiency. Did you know that, when your boiler is working properly, this can improve your unit’s efficiency level by up to 15%? That’s right – when you take the time to maintain your boiler, you’ll reap the benefits of having a more energy-efficient model. More durability. Boilers that are maintained and inspected last longer, and are more durable. If you want to save yourself the money and time that it takes to purchase a new boiler, it’s important to maintain your current unit. Reduce your chances of carbon monoxide poisoning. When your boiler hasn’t been serviced in a long time, you run the risk of getting carbon monoxide poisoning! Do you have further questions about how to get your HVAC system back on track? If so, it’s time to contact Robert B. Payne, Inc. today at (540) 373-5876. Here at Robert B. Payne, Inc. our team of boiler repair specialists has a wealth of knowledge pertaining to HVAC and air quality services. The Robert B. Payne, Inc. team is always more than happy to help answer your questions and offer our assistance.